According to many, today’s Spring Forward event is going to mark the beginning of a new era as Apple is about to make wearable technology mainstream thanks to its upcoming Apple Watch and the enormous budget set aside to promote it all over the Globe. Although the Apple Watch may be only one of the products that Apple’s execs will present later today at the Yerba Buena Centre in San Francisco, it’s undeniable that the hype created around Cupertino’s first-ever digital smart watch will push many to flock to the Apple Stores and to swipe their cards for yet another (potentially) cool gadget. 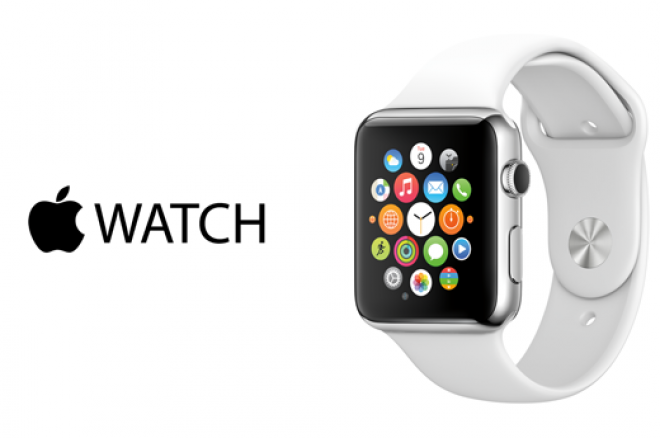 Right now, we do not know much about the Apple Watch. We know that it does some fancy moves, that it tells us when people call us on the phone (how did we live without it, right?) and that it can display some photos of our choice. Yet, we know nothing about the battery and, most importantly, about its price. What we do know, however, is that we are going to need an iPhone 6 to use it to the fullest. True, an iPhone 5 and an iPhone 5s may work as well, but, the question here is: for how long? Apple’s devices get slowly killed by the company as soon as new models come up, and it’s no mystery that the ‘5-family’ is the next one in line to be sent to retirement. So, if you are ready to be the cool kid everyone stares at and you want to discover how an Apple Watch feels on your wrist, have a look at this amazing and time-limited offer on tap at partypoker, as it’s pretty much your only chance to get an Apple Watch + an iPhone 6 and pay only for the least expensive device. Getting your chance to bring home an iPhone 6 for free couldn’t be any easier as long as you have opened an account at partypoker from PokerNews in the past nine months. Useful tip: If you didn’t, open a free account right now from this link. It’s your last chance to participate! Seen that the one above is pretty much the only requirement you have to meet to join this Apple-themed promo, if that describes you, just go ahead and register in any of our PokerNews iPhone Challenge Qualifiers taking place each and every Wednesday at 20:00 CET. The tournaments already started on March 4, and this means that you will find them right there in the client as soon as you open it. To join the PokerNews iPhone Challenge Qualifiers, you need to ‘pay’ a somewhat symbolic buy-in of five partypoints (or the equivalent of $2.50 in rake). Do that, and you will immediately get your seat at an event that offers you a $100 GTD. 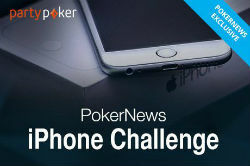 prize pool and five tickets to play in a special PokerNews iPhone Challenge Final on the last Thursday of the month where the winner will receive an iPhone 6 for free. If you don’t like qualifiers and you just want to win an iPhone, then you can skip the PokerNews iPhone Challenge Qualifiers and head straight to the Final tournament. To do so, simply make sure you earn at least 10 party points in the current month up to the start of the event, as this will get you a ticket to the PokerNews iPhone Challenge Final. The first PokerNews iPhone Challenge Final takes place on Thursday, March 26, and, again, it will only be available to people who have opened an account from PokerNews. Which means, as you may have already guessed, that the field is going to be exactly as you like it: small and easy. So what are you waiting for? The second PokerNews iPhone Challenge Qualifier is just around the corner on March 11! Sign up to partypoker through our links today to get started on your path to a fancy iPhone 6 for free! Don't Miss The $25,000 PokerFest Main Event on partypoker - TODAY!